The Earth surface is a blemished, mysterious thing, dappled with giant holes dug by human beings or caused by the impulse of nature. From deep blue hole lagoons, volcanoes that slash the Earth apart, feeble underground sewage, open-pit mines strip, the amazing holes are everywhere on this planet. Here are 7 magnificent cases of such gigantic holes, some of them are man-made, but the best ones are nature work. The Darvaza gas crater also known as “The Door to Hell” is a 60m wide and 20m deep hole in the heart of the burning, unrestrained Karakum desert in Turkmenistan, which has been on fire for the last 38 years. 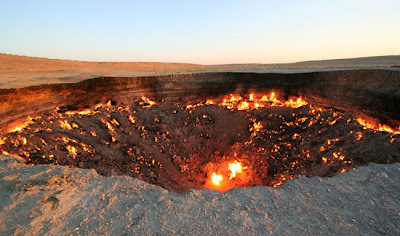 The hole was created during Soviet gas exploration accident that occurred in 1971. Many celebrities were attracted by poker and went to Vegas not only to make some money but to boost their careers as well. Poker is the new best thing in celebrity circles. 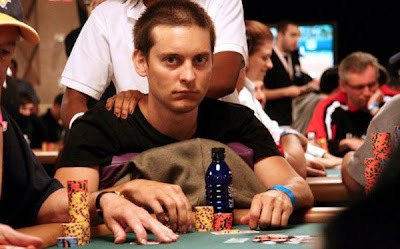 Although the greater part of these celebrity poker players are not very well skilled, we make a list of some excellent celebrity poker player. These days many casinos make various poker competitions for celebrities to attract extra media coverage, which is always great for business. 1. Tobey Maguire: Famous actor who once played Spider-Man is some kind of The Great Gatsby when we are speaking about celebrity poker players. In fact, he’s so good that Internal Revenue Service sued him for not reporting extra income for Hollywood poker parties. Maguire accumulated more than $300,000 in poker winnings at Hollywood home games last year. There are rumors that say that this famous actor is allegedly gathered about a $10-million at these parties.